Mr. McCurry was born and raised in Huntsville, Alabama and currently resides in Huntsville with his wife Leigh and his children. Mr. McCurry completed his undergraduate studies at Birmingham-Southern College and is a graduate of Cumberland School of Law at Samford University and University of Miami School of Law where he was conferred a Master of Laws in Taxation. Mr. McCurry was admitted to practice law in the State of Alabama in 2008. Mr. McCurry’s areas of practice include Real Estate Law, Estate Planning, Estate Administration, Elder Law and Business Planning. He frequently speaks in public in the areas of Estate Planning, Real Estate, Business Planning and related matters. 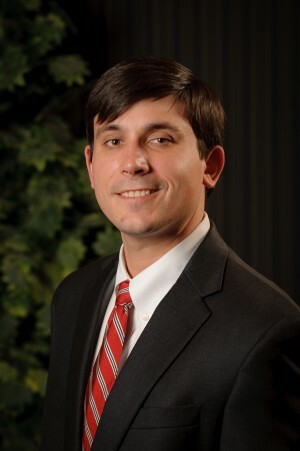 Mr. McCurry is a member of the Alabama State Bar, Madison County Bar Association, Young Professionals Network, National Network of Estate Planning Attorneys, WealthCounsel and ElderCounsel. Mr. McCurry was the President of the BNI Heritage Network for the 2015 year. • 2018 Member of the Board of Directors for Tennessee Valley Unite, Inc. The information provided by Brodowski and McCurry, LLC, d/b/a Brodowski, McCurry, Maynor & Miller at www.brodowskiandmccurry.com is done as a service to the public. Since on certain sections of the site, information is provided by other sources, Brodowski and McCurry, LLC does not warrant or guarantee the accuracy of the content of this site, nor that of any site for which a link is provided. Providing a link to another site shall in no way be deemed an endorsement by Brodowski and McCurry, LLC, express or implied, of any such site. Brodowski and McCurry, LLC does not guarantee accessibility to this site, nor any other linked site, and will not be liable for damages for reliance upon the information at this site, nor the unavailability or lack of access to this site or information contained thereon. The information contained at this site is not legal advice, and should not be relied on by the user of this site as such. The user is encouraged to retain the services of a lawyer for legal advice. Use of this site constitutes an agreement by the user that the user will hold Brodowski and McCurry, LLC harmless for any inaccurate information contained herein, or the inability to access this site or any other site herein referenced. Contacting Brodowski and McCurry, LLC does not create an attorney / client relationship. No representation is made that the quality of legal services to be performed is greater than the quality of legal services performed by other lawyers.